Stephen J. Bergstrom, born in Green Bay, Wisconsin, raised and schooled in the Chicago suburbs, is of Métis (French and Native American/Canadian Aboriginal) and Swedish heritage. 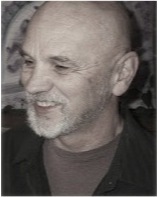 He received his BA in Literature and his MFA in Creative Writing and has authored micro-fiction collections, a collection of flash fiction, two poetry volumes of haiku, a full-length action-thriller screenplay, and non-fiction essays, interviews, and articles published in his blog, Rue d’Awakening. Stephen currently has several short stories and full-length novels in process. In addition to pursuing his own writing, Stephen also offers editorial, manuscript and screenplay critiquing services and creative coaching for writers. “Ideas arrive in all types and forms. In complete arcs, in snippets, in fragments, in characters, but most especially in real-time conflicts, behind veils, in those places in which hidden forces oppose nature and the natural ways.